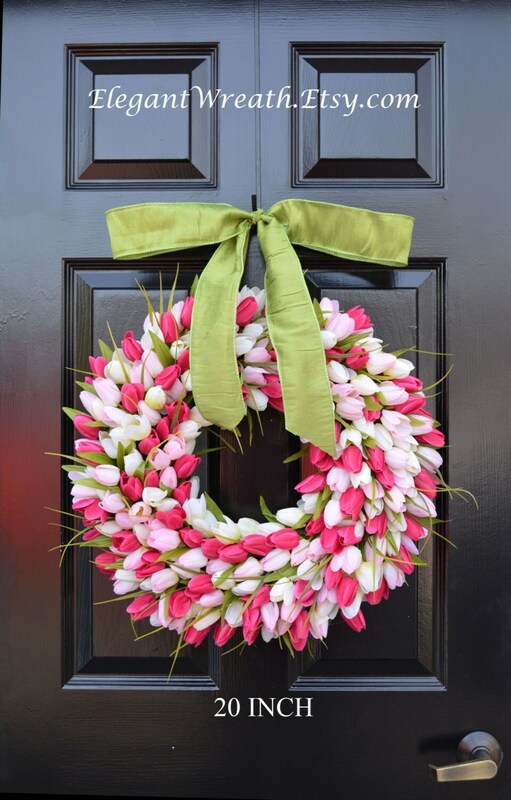 Thank you to my customers for helping me sell hundreds of these wreaths over the past four years! Any combination of: dark pink, light pink, white, red, yellow, orange, lavender, purple, light green and coral can be chosen. 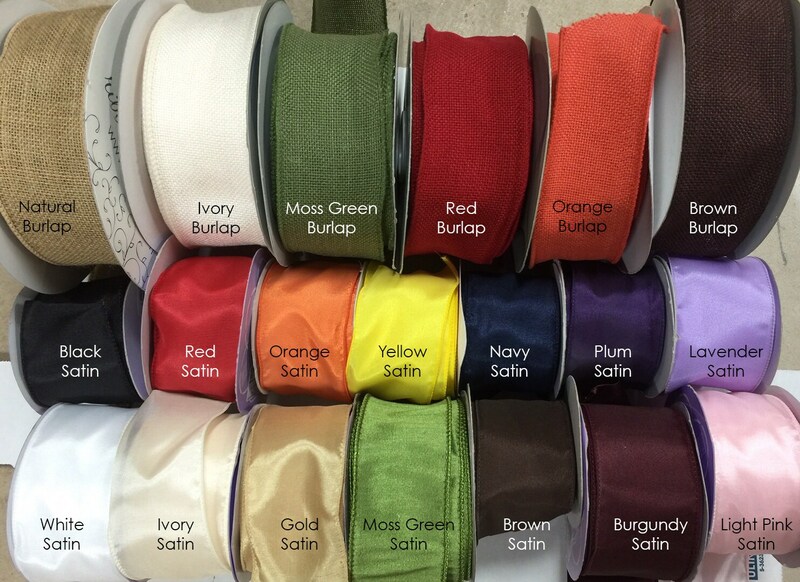 There are plenty of gorgeous color combinations to choose from as some are pictured in other photos! Thank you to my customers for your support! The first two pictures are an example of an 20 inch wreath. With ribbon the height of the wreath is 25 inches. Other colored options can be viewed by perusing my shop. The diameter is measured from the edge of flowers across to the other edge of the flowers. 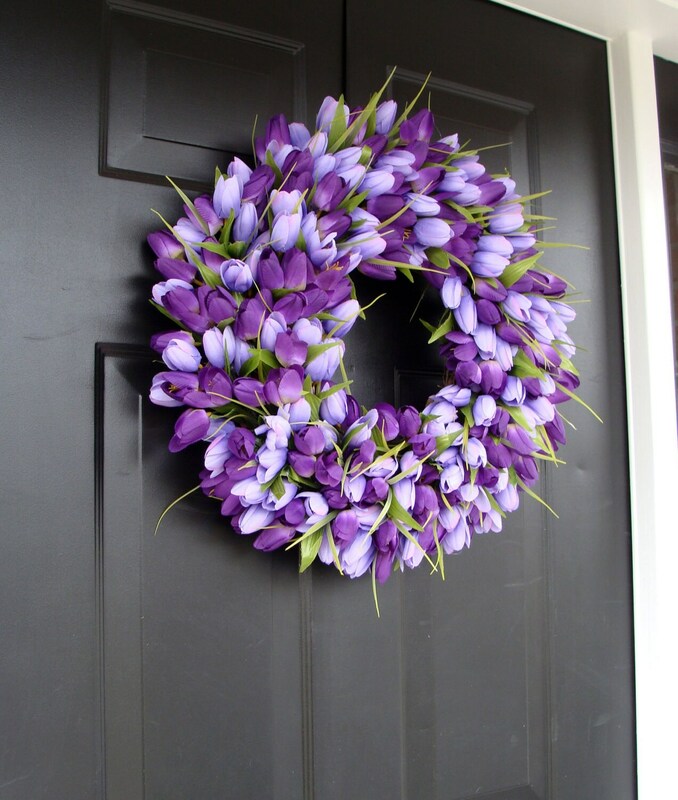 The diameter is not the wreath frame used to create the wreath. We recommend that you physically measure your space to determine the best size to order. ***Enter you RIBBON COLOR at CHECKOUT in the Comments Section PLEASE! If you don't specify your ribbon color you will receive green moss satin which goes with most wreath color combinations. This is the highest quality wreath that I have ever bought! Arrived quickly and in perfect condition. Dear Shannon, The wreaths arrived safe and well to the Netherlands, and how lovely they are! My mum and I are very happy and cant wait to use them soon when spring arrives! 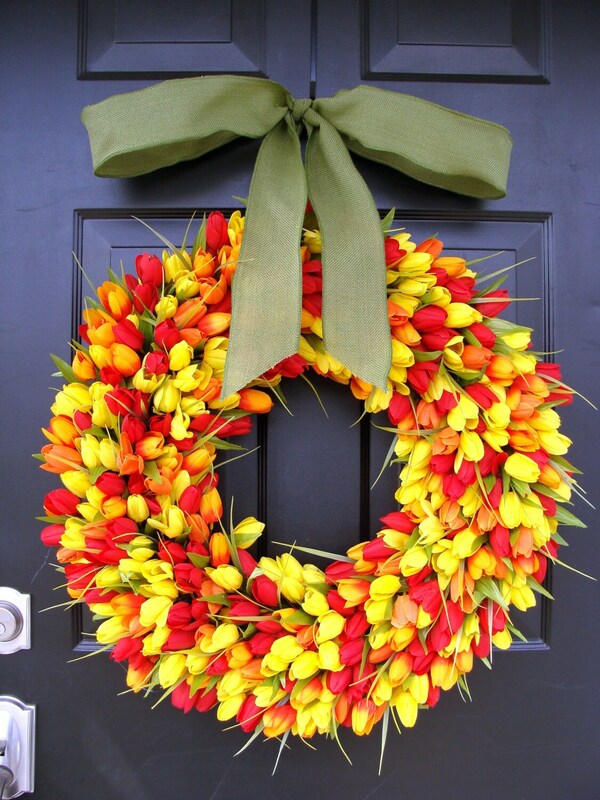 I actually live in the tulip area in NL and never came a cross these wreaths here! Extremely happy thank you! !